Maritime loans are the earliest known type of insurance and can be traced back as early as Greek and Roman times. Due to a need to protect ship owners and merchants (i.e. shipwrecks; pirates) marine insurance contracts were later developed in 14th Century Italy and spread to other parts of Europe. With help from Edward Lloyd, who opened Lloyd’s Coffee House in 1680 in London, England, an “ocean marine insurance” market developed and that coffee shop eventually became Lloyd’s of London. During the 17th Century, a need arose for a second insurance marketplace to protect building owners from fire losses. 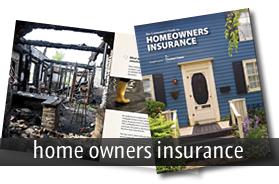 The fire insurance companies typically provided a “narrower” coverage form where coverage was only provided for listed perils. Because Inland Marine policies are designed to cover types of personal property that are typically mobile, they are also commonly referred to as “personal article floaters” or just “floaters”. For coverage to apply, each eligible property item is specifically scheduled on the policy with a detailed description, serial numbers if applicable, and its value. A homeowner’s policy is only designed to cover catastrophic events such as fire, lightning, tornadoes, hail, burglary, etc… The policy also sets forth limits on losses for certain types of personal property due to theft, or other causes of loss. For instance, cash is usually limited to $250, whereas jewelry is typically capped at $1,000 and guns at $2,500. 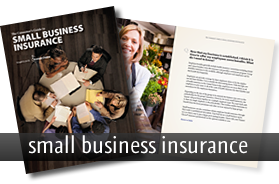 Many homeowner’s insurance companies also offer Inland Marine coverage as a rider to the home policy, while some companies write it on a separate policy form. 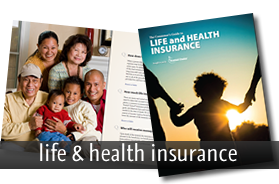 Inland Marine coverage is so broad that it covers any type of loss not specifically excluded, and deductibles do not typically apply. In the case of the missing ring mentioned in the beginning of this article, Mr. Jones’ lost ring would not be covered under a basic homeowner’s policy. If the ring had been scheduled on an Inland Marine policy, it could be replaced with a ring of like kind and quality, or Mr. Jones would be reimbursed for the value specified on the schedule. 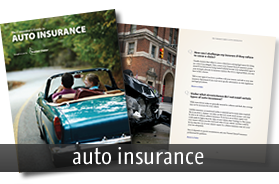 The agents at Kasmann Insurance want to work with you to make sure you have the personal property coverage you need. If you got engaged over the holiday season, or received a nice piece of jewelry for Valentine’s Day, we’ll help you make sure it is covered properly. Perhaps you have extensive collections or valuables and you are concerned they may not be adequately covered under your homeowner’s policy? We’ll be happy to help you get them scheduled under an Inland Marine policy for “all risk” coverage. Call us sooner, rather than later, to ask about scheduling your stuff!